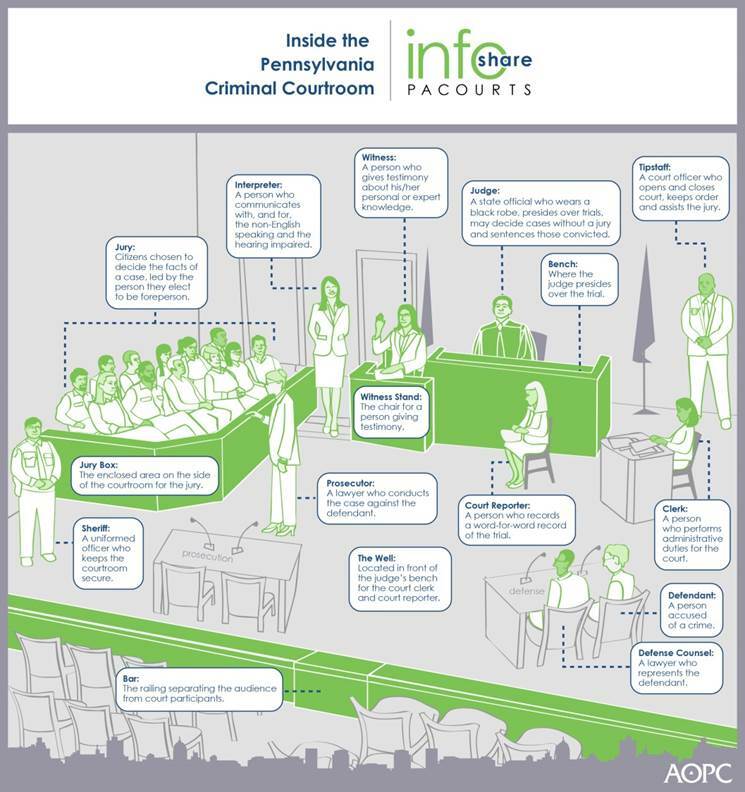 The purpose of this information is to acquaint jurors with a few methods and procedures that relate to jury service and selection in Pennsylvania’s Court of Common Pleas. The Court of Common Pleas are Pennsylvania’s general trial courts. These courts are organized into judicial districts, generally following geographical boundaries of the state’s counties. In most judicial districts, juries hear a wide range of cases. Please take time to review so you are better informed about your responsibilities and the importance of your role in the trial process. The Judges of the 39th Judicial District thank you for contributing your time for jury duty. The performance of jury service is the fulfillment of a most important civic obligation. Conscientious service brings its own reward in the satisfaction of a task well done. Jury service is one of the most valuable public services that the average citizen has an opportunity to perform. Trial by an impartial jury of citizens from the community is the cornerstone of the American judicial system by which our people judge and settle all controversies. Many other systems have been tried throughout the world, but our system is the one believed most likely to accomplish justice and fairness. It guarantees that no one person or government will dictate his or her opinion to others. It further guarantees that all final decisions involving our rights, liberty and property rest in capable hands of the honorable men and women of the community who serve as jurors. • Bring something to read or do to pass the time spent waiting. • As a prospective juror, you are permitted to bring handheld electronic devices(smartphones, tablets, laptops, etc.) with you to the courthouse; HOWEVER, they are not permitted to be turned on when Court is in session and/or while in a jury deliberation room. Electronic devices shall not be used to obtain or disclose any information about any cases. No exceptions. • Get directions to the courthouse in advance. • Before the date you are scheduled to appear, find a convenient place to park if you are driving. The county provides free parking at the lots described in the FAQ section about Jury Duty. • If you use public transportation, find out which route you need to take and time schedules to arrive on time. • Plan to arrive early, as there are often time delays due to security screening, especially on jury selection days. • All jurors will be required to go through a metal detector. When in doubt, leave items at home or in your car. • Food in general is not permitted in the courthouse; however, given the importance of your duty, the Courts recognize medical, dietary, and related needs. Food for these noted needs will be permitted in the courthouse on selection days. • In the event of inclement weather or an emergency develops on selection days, please contact Court Administration at 717-261-3848 and leave a message. Staff needs to hear from you and will follow up accordingly. Please click HERE for a downloadable copy of our Juror's Guidebook. Please click HERE for important information on Jury Parking. Please click HERE for more information important Jury Parking. Please click HERE for information on Jury Duty Scams. Please click HERE for the set and cast of characters, looking inside the PA Criminal Courtroom. Please click HERE for information on the Court Facility Improvement Project. Click HERE to fill out your juror questionnaire and check your juror status online.